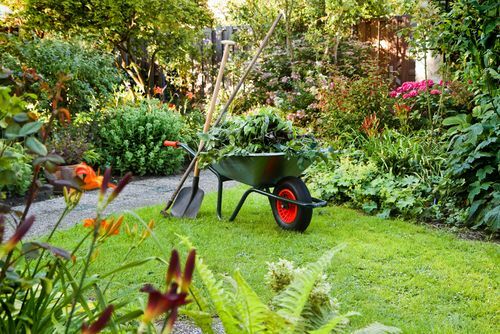 During winter and spring, your garden will have accumulated dirt, grime and a heap of debris, along with a never ending plethora of unwanted weeds. You will have to get your hands dirty to fully remove all the unwanted rubbish from your garden. Once you have removed all the dirt and rubbish, you will need to kill the weeds. To effectively remove the weeds, you need to manually pull them out. Small handed trowels are great for smaller weeds. For larger weeds, you may need a hoe to dig up the weed and its roots. If you have a large area of dense weeds, it is recommended that you use a weed killer to quickly get the job done. After the long winter and spring, your lawn is going to need a lot of care. Purchase some fertiliser from your local garden centre and use it on your lawn and soil. This will ensure it will have enough nutrients to grow through the summer and will allow you to grow plants and vegetables. 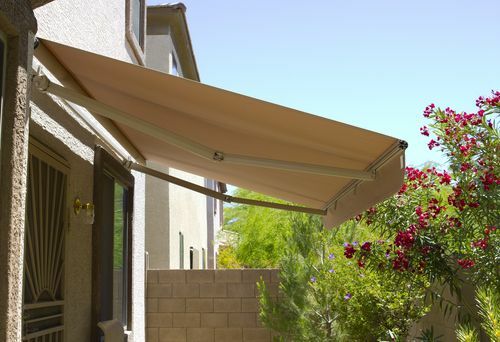 An awning is a great addition to your home, especially during the summer. It gives you, your family and friends an area to relax in the shade and enjoy the summer weather. You can dine outside, host a barbeque or just simply enjoy the outdoors in the cool temperature. To ensure a lush and even lawn, be sure to water it and keep the roots in mind. Deep roots ensure the grass can withstand the hot sun’s rays during summer, which means a single deep irrigation will ensure optimum growth. It is recommended that you water your lawn in the early morning or at night. What do you think of this blog? Can you think of anymore ways to prepare your garden for summertime? If so, please leave your comments below.